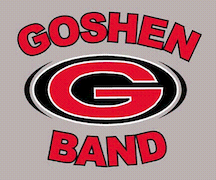 The Goshen Crimson Marching Band earned an ISSMA Semi-state birth at the Marching Band Regionals on October 13th. This week they take their show “For the Love of Nature” to East Noble Band Invitational. During Fall Break practices on Wednesday, Thursday, and Friday are MANDATORY as we prepare for the semi-state competition on October 27th. ← 2018 ISSMA Regional – Lafayette Jefferson H.S.